Emily "Cissy" Houston (née Drinkard; born September 30, 1933) is an American soul and gospel singer. After a successful career singing backup for such artists as Roy Hamilton, Dionne Warwick, Elvis Presley and Aretha Franklin, Houston embarked on a solo career, winning two Grammy Awards for her work. Houston is the mother of singer Whitney Houston, grandmother of Bobbi Kristina Brown, aunt of singers Dionne and Dee Dee Warwick, and a cousin of opera singer Leontyne Price. Born Emily Drinkard in Newark, New Jersey, to Nitcholas and Delia Mae Drinkard (née McCaskill), she was the eighth and final child; older siblings were brothers William (1918–2003), Hansom (1924–deceased), Nicky (1929–1992), and Larry (1931–2012); and sisters Lee (1920–2005), mother of Dionne Warwick and Dee Dee Warwick, Marie (1922–2007), and Anne (1927–2003). Houston's father Nitcholas Drinkard was born to Susan Bell (called Delia) Drinkard (née Fuller), of Dutch and African-American descent. His father John Drinkard, Jr., was of Native American descent. The Drinkards had owned a substantial amount of farmland in Blakely, Georgia, at a time when it was unusual for black people to have large landholdings. The asset was gradually depleted as they sold small portions of land over time, to resolve the continued legal troubles of a close relative. After Houston's three oldest siblings were born, the family relocated to New Jersey during the Second Great Migration. Her parents emphasized the children getting educated and being involved in the church, and her father encouraged Houston and her siblings to sing. In 1938, five-year-old Cissy's mother Delia suffered a stroke and died of cerebral hemorrhage three years later. Houston's father died of stomach cancer in 1951 when Houston was 18. Cissy went to live with her older sister Lee and her husband Mancel Warrick. The Warricks had three children: a son, Mancel Warrick Jr. and two daughters Marie Dionne a/k/a Dionne Warwick and Delia Mae a/k/a Dee Dee Warwick. Renowned soprano Leontyne Price is a Drinkard cousin. Houston is a Christian, and has said that she "found Christ" at age 14. In 1955, Houston married Freddie Garland and had a son, Gary Garland, an NBA basketball player and DePaul University Athletic Hall of Famer. The Garlands divorced two years later. In 1959, she married John Russell Houston, Jr., a Newark City administrator and entertainment executive. The couple had a son, Michael Houston, who became a songwriter, and a daughter, Whitney Houston, who became a world-renowned Soul/R&B/pop singer. Houston's second marriage also ended in divorce. Aretha Franklin was an honorary aunt of Houston's daughter. Houston has six grandchildren (including the late Bobbi Kristina Brown), and nine great grandchildren. Houston's singing career began in 1938 when she joined her sister Anne and brothers Larry and Nicky in the gospel singing group the Drinkard Four. Lee (who would later become the mother of singers Dee Dee and Dionne Warwick), later joined the group along with Ann Moss and Marie Epps, and the group was renamed The Drinkard Singers. Houston and the Drinkard Singers regularly performed at New Hope Baptist Church and later recorded a live album for RCA called A Joyful Noise. In 1963, then about to give birth to daughter Whitney Houston, she formed the Sweet Inspirations with Doris Troy and niece Dee Dee Warwick. Later, under contract to Atlantic Records, Sylvia Shemwell, Estelle Brown and Myrna Smith form the line-up. During the mid-1960s, the Sweet Inspirations provided backup vocals for a variety of artists, including Otis Redding, Wilson Pickett, Lou Rawls, The Drifters, Dusty Springfield and Houston's niece Dionne Warwick. They appeared on Van Morrison's single Brown Eyed Girl. Houston performed the operatic soprano[not in citation given] melody on the Aretha Franklin hit, Ain't No Way. In 1967, The Sweet Inspirations sang background vocals for The Jimi Hendrix Experience on the track "Burning of the Midnight Lamp". In 1969, they were hired to sing backing vocals for American singer Elvis Presley in Las Vegas on his return to live performances during July and August 1969. Presley often introduced them at shows by saying, "They really live up to their name ladies & gentleman, The Sweet Inspirations!" Many of these performances can be heard on the All Shook Up and Live In Las Vegas live records. Performing with Elvis Presley was Houston's final gig with The Sweet Inspirations. As her children were growing bigger, she decided to stop touring and focus on her career as a recording artist. As Cecily Blair she cut her first secular solo record "This Is My Vow" on M'n'M Records in 1963 following this up in 1966 with "Bring Him Back" b/w "World Of Broken Hearts" on Congress. Her final solo single before recording with The Sweet Inspirations was "Don't Come Running To Me" b/w "One Broken Heart For Sale" released on Kapp Records in 1967. On these early singles her name is spelled as Sissie Houston. In 1969, Houston signed a recording contract with Commonwealth United Records and recorded her solo debut LP Presenting Cissy Houston which was released in 1970. It contained several well received singles, including covers of "I'll Be There" and "Be My Baby", both of which made the R&B charts. Following the release of her debut album, Houston's contract was sold to Janus Records in 1970. She recorded another album and several more singles in the early 1970s, which included the original recording of Jim Weatherly's "Midnight Train to Georgia" in 1972, later a number one hit for Gladys Knight & The Pips. She continued to record with Janus Records until 1975. In 1977, Houston was signed by Private Stock Records, working with arranger/producer Michael Zager on three albums. The second included her big disco hit "Think It Over", which climbed to No. 32 on the Billboard R&B chart in 1979. She represented USA at the World Popular Song Festival in 1979 with a track called "You're the Fire", landing second place and winning the "Most Outstanding Performance Award". This also appeared on her 1980 disco-flavored album, Step Aside for a Lady, again produced by Zager, but released on Columbia Records (on EMI in the United Kingdom). Houston sang back-up on Bette Midler's 1972 debut album, The Divine Miss M. In 1974, Houston sang back-up on Linda Ronstadt's multi-Platinum Heart Like A Wheel, a seminal album that topped Billboard′s Pop and Country Album Charts in early 1975. In 1971, Houston was featured on three tracks of Burt Bacharach's self-titled solo album: "Mexican Divorce", "All Kinds of People" and "One Less Bell to Answer". During 1975 and 1976, she worked with jazz flautist Herbie Mann on three Atlantic albums, Discothèque, Waterbed and Surprises, featuring on three tracks, "Violet Don't Be Blue", JJ Cale's "Cajun Moon" and "Easter Rising". In addition to her work as choirmaster at New Hope Baptist Church in Newark, NJ, Cissy performed frequently at clubs in NYC including Mikell's, Sweetwaters, Seventh Avenue South, and Fat Tuesday from the late 1970s through the 1980s. Whitney Houston, her daughter and backup singer, increasingly sang solos with Cissy's band, including the Barbra Streisand hit "Evergreen". They would collaborate on "Ain't No Way" (originally a Cissy Houston and Aretha Franklin vehicle), on which Cissy sang "Cissy" and Whitney "Aretha". In 1996, Houston received the Grammy Award for Best Traditional Soul Gospel Album for Face to Face, an album that contained a Gospel version of "How Sweet It Is (To Be Loved by You)". The same year, she contributed one song to the gospel soundtrack album for the film The Preacher's Wife, which starred her daughter Whitney Houston. In 1998, she won her second Grammy for her album He Leadeth Me. She has also continued to record infrequent secular material and in 1987, Houston and her daughter Whitney recorded a duet titled "I Know Him So Well", a cover of the original by Barbara Dickson and Elaine Paige from the Broadway show, Chess. This song also became a single in early 1989 as the 6th and last single release (in selected European countries) from Whitney's album Whitney. In 1992 she teamed up with Chuck Jackson for an album of solo and duet recordings entitled I'll Take Care of You. In 2006, she recorded the song "Family First" with niece Dionne Warwick and daughter Whitney Houston for the soundtrack to the movie Daddy's Little Girls. In 2010, Cissy attended the third annual BET Honors with her daughter Whitney, who received the entertainment award. In 2012, Cissy performed "Bridge over Troubled Water" at the tribute for her daughter at the BET Music Awards. On September 29, 2014, at 80 years old, Cissy sang backup to a standing-ovation performance with Aretha Franklin of Adele's "Rolling in the Deep," and "Ain't No Mountain High Enough" on The Late Show with David Letterman. For more than fifty years, Houston has led the 200-member Youth Inspirational Choir at the New Hope Baptist Church (Newark). She is a driving force behind and performs annually at the McDonald's Gospelfest. 1996 A Time to Kill: Original Soundtrack Album "Take My Hand, Precious Lord"
The Preacher's Wife: Original Soundtrack Album "The Lord is My Shepherd"
1998 Late Show with David Letterman, December 23, episode "Christmas (Baby Please Come Home)"
1968 Lady Soul Aretha Franklin "Ain't No Way" and "(Sweet Sweet Baby) Since You've Been Gone"
Paul Simon Paul Simon "Mother and Child Reunion"
Movin' On Oscar Brown, Jr. The Divine Miss M Bette Midler "Do You Wanna Dance?" Sweet Revenge John Prine "Sweet Revenge," "Mexican Home"
I've Got the Music in Me Kiki Dee "I've Got the Music in Me"
The Doctor Is In... and Out Yusuf Lateef "Technological Homosapien"
Young Americans David Bowie "Young Americans"
1987 Whitney "I Know Him So Well"
1995 This Is Christmas "This is Christmas"
1997: Classic Whitney: Live from Washington, D.C.
^ "Geni.com: Emily Houston (Drinkard)". April 13, 2011. Retrieved February 11, 2012. ^ a b c d e f Houston, Cissy (September 2, 2009). "Visionary Project Video - Cissy Houston: My Family". Retrieved February 11, 2012. ^ "Geni.com: Delia Drinkard (McCaskill)". April 13, 2011. Retrieved February 11, 2012. ^ "Geni.com: Nitcholas Drinkard". April 13, 2011. Retrieved February 11, 2012. ^ Warwick, Dionne (2010). My Life, as I See It. 1230 Avenue of the Americas, NY, NY 10020: Atria Books. p. 7. ISBN 978-1-4391-7134-9. ^ Warwick, Dionne (2010). My Life, as I See It. 1230 Avenue of the Americas, NY, NY 10020: Atria Books. p. 9. ISBN 978-1-4391-7134-9. ^ Warwick, Dionne (2012). My Life, as I See It. 1230 Avenue of the Americas, NY, NY, 10020, USA: Atria Books. ISBN 978-1-4391-7134-9. ^ "Artistopia.com". Dionne Warwick. iCubator Labs LLC. Archived from the original on 2012-05-06. Retrieved April 13, 2012. ^ "Cissy Houston details daughter Whitney's decline in new book". CBN.com. Retrieved December 28, 2017. ^ "Gary Garland Houston Is Whitney Houston Brother". Celebrity Justice. Ghana Politics. Archived from the original on July 28, 2012. Retrieved April 24, 2012. 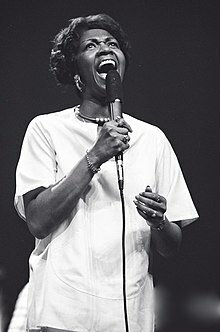 ^ a b c d e "Cissy Houston: National Visionary". Oral History Videos. Retrieved February 16, 2012. ^ "Gary Garland: NBA & ABA Stats". Basketball Reference. Retrieved April 21, 2012. ^ Walters, Judy (February 12, 2012). "Whitney Houston News: Life and Times of the American Singing Snesation Who Died at 48". Belle News. Retrieved February 16, 2012. ^ Skittles, D. "Michael Houston". Celebrity Siblings. Celebrity Siblings Blog. Retrieved April 21, 2012. ^ Silverman, Stephen M. "Whitney Houston's Brother Arrested". www.people.com. Retrieved February 16, 2012. ^ Merriman, Rebecca. "Michael Houston 'Devastated' At Death of Sister". New. www.entertainmentwise.com. Retrieved 16 February 2012. 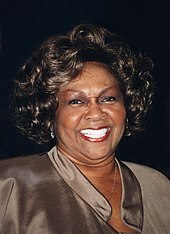 ^ "Cissy Houston: National Visionary". Retrieved December 19, 2017. ^ Winfrey, Oprah (September 2009). "Remembering Whitney: The Oprah Winfrey Interview" (video). Oprah Winfrey Network. Retrieved April 21, 2010. ^ Moody, Nekesa Mumbi. "Whitney Houston, superstar of records, films, dies". Associated Press. Retrieved April 21, 2012. ^ Williams, Brennan (April 3, 2012). "Whitney Houston Death: Cissy Houston Breaks Her Silence". Huffington Post. Retrieved 2 May 2012. ^ McCall, Tris. "The Star Ledger". Song of the Day: Lift Him Up, The Drinkard Singers. www.nj.com. Retrieved February 21, 2012. ^ Unterberger, Richie. "All Music Guide". The Sweet Inspirations: Biography. Yahoo! Music. Retrieved February 21, 2012. ^ Jimi Hendrix Experience, The. "Discography". Electric Ladyland. discogs.com. Retrieved Feb 21, 2012. ^ a b c d Houston, Cissy. "Cissy Houston Remembers Elvis Presley". The Sweet Inspirations (Video). www.elvis.com.au. Retrieved February 21, 2012. ^ a b c Unterberger, Richie (2003). Bogdanov, Vladimir (ed.). All Music Guide to Soul: The Definitive Guide to R&B and Soul (Revised ed.). Hal Leonard Corporation. p. 321. ISBN 9780879307448. Retrieved 22 June 2014. ^ "Cissy Houston @ Artist Direct". Cissy Houston @ Artist Direct. www.artistdirect.com. Retrieved February 25, 2012. ^ Nathan, David. "Cissy Houston: Presenting Cissy Houston Expanded Edition (SMCR-5054)". soulmusic.com. Archived from the original on 4 March 2016. Retrieved 23 June 2014. ^ "Watch: Aretha Franklin Gets Standing Ovation from Letterman Audience With Knockout Performance". showbiz411. September 30, 2014. Retrieved September 30, 2014. ^ Discogs. Burt Bacharach – Burt Bacharach. Accessed 18 November 2016. ^ "Musica Desde Las Antipodas". The Doctor Is In...And Out. brownweb. Archived from the original on November 4, 2011. Retrieved February 12, 2012. ^ "Chaka Khan - Clouds". Clouds. JazzFunkster444. Retrieved February 21, 2012. ^ "Chaka Khan - Papillion (Hot Butterfly)". Papillion (Hot Butterfly). p4soul. Retrieved February 21, 2012.